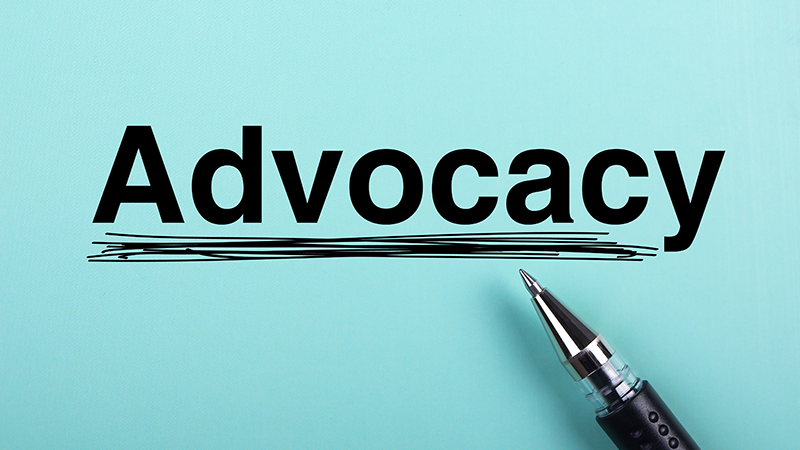 Advocacy is the process of stakeholders making their voices heard on issues that affect their lives and the lives of others, according to the National Council on Aging. Simply put, advocacy is the public support of a particular cause, policy or position. It also means helping policymakers find specific solutions to persistent problems. Most nonprofits can and do engage in as much advocacy as possible to achieve their goals. Advocacy in all its forms seeks to ensure that people, particularly those who are most vulnerable in society, are able to: have their voice heard on issues that are important to them; defend and safeguard their rights; and have their views and wishes genuinely considered when decisions are being made about their lives. Supporting projects that meet the needs of diverse local populations. Empowering and putting people first. Fighting for equality, accessibility and diversity. Holding elected and appointed representatives accountable. This involves individuals advocating for someone else in a one-on-one setting. Typically, these advocates and beneficiaries have shared experiences, making it easier for advocates to empathize and communicate the needs of the benefiting community. This champions a particular issue or cause that supporters feel strongly about. This type of advocacy can be led by organizations, groups of people, or individuals, with the goal of raising awareness for a problem and finding or promoting a solution. Essentially cause advocacy on a larger scale, systems advocacy is a form of advocacy that seeks to effect change within social, economic, or political institutions. Systems advocacy can involve fundraising, awareness campaigns and lobbying. This involves attempts to influence specific legislation at the local, state, or federal level while advocacy is focused on educating about a specific issue. Lobbying makes up a small portion of the total amount of advocacy efforts by most nonprofits. No matter what form they take, advocacy campaigns allow nonprofits (and other organizations) to spread the word about their mission. These efforts can be paired with fundraising, marketing and outreach and community service. Know the facts to answer the questions when asked by potential supporters and decision makers. Identify the problem and possible solutions. Value volunteers and make their time worthwhile. Know how to secure donations from those who have the means. Want to know more about how to support for the Indiana Retired Teachers Association? Read “How You Can Advocate for Teachers and Better Education in Indiana”.